At Elegant Events we are continually studying with internationally recognised Planners and Event Decorators ensuring we are always up-to-date with current trends and styles to help you turn your event into an amazing experience for your guests. We are thoroughly equipped to decorate weddings, proms, corporate events, and a range of special occasions. If we don’t have the item we need to add the perfect touch, we’ll do everything possible to get it. When you come to our display centre, we can discuss your theme and desires for your occasion and work together to make them a reality. We have plenty of stock on hand with a continually growing range so we can have some fun together experimenting with different ideas. 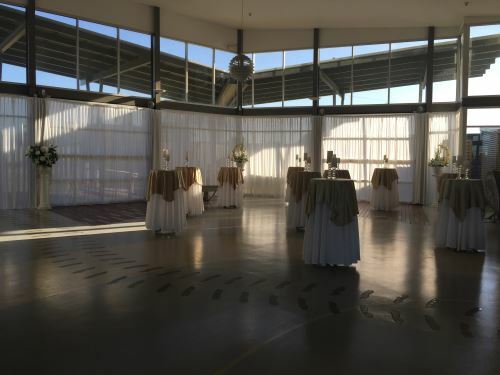 In addition to the more common event venues such as function-centres, gardens, and halls, we’ve decorated some unusual venues such as tidal sand bars, roof tops, and ships. No matter what your location, if you can get your guests there, we can create a fantastic atmosphere for them. Our decorating service is available across the Wide Bay / Burnett including Bundaberg, Maryborough, Hervey Bay, Childers, plus Agnes Water-1770 and other smaller centres around the region. 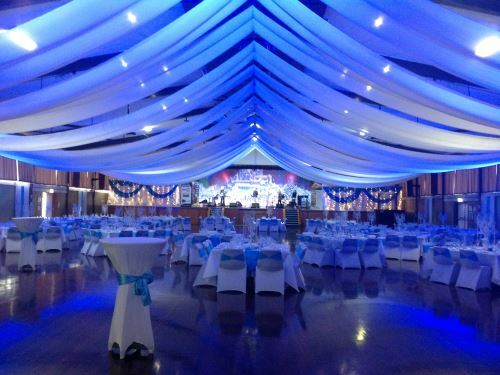 We were extremely pleased with the sensational décor provided by Bundaberg Party Hire for the 37th Australian Society of Sugar Cane Technologists (ASSCT) Conference Gala Dinner held in Bundaberg recently. We required a sheltered venue that could seat around 330 people. The Civic Centre was already used by us to accommodate the conference Industry Trade Exhibition and with limited venue options available we chose the Main Pavilion at the Bundaberg Recreational Precinct. 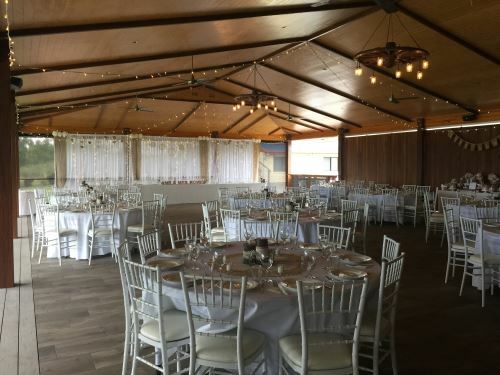 We had a huge task in front of us as we needed to transform a shed into an elegant function room. The before and after photographs are testament to the amazing work done by Shelley, Cassandra and their team. All we could say when we saw the end result was “WOW”. They followed our brief perfectly and together with the wash lighting provided by Mal Brown at Corporate AV the room was breathtaking. Thank you Shelley and Cassandra for your professionalism and for helping to make our conference Gala Dinner a memorable event.